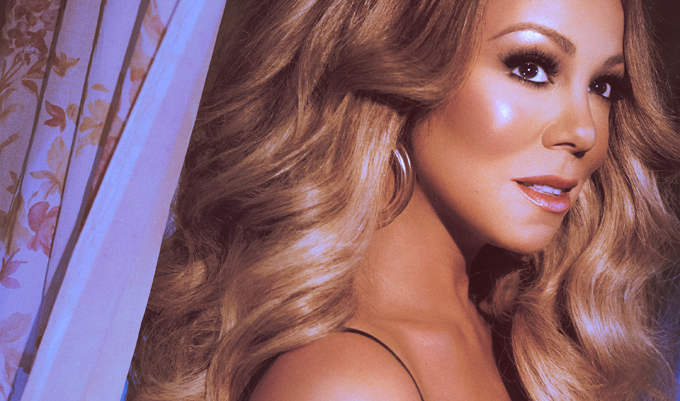 MariahCarey > News > MARIAH RETURNS WITH HER NEW SONG, "GTFO"
The new song is a tempting first helping from her upcoming new album, due out later this year, whetting fans' appetites for the album's stunning kickoff single, "With You," scheduled for release later this year. Both tracks are from her upcoming 15th studio album, her first studio album since 2014. "GTFO" is produced by Grammy nominated/multiple ASCAP award winner Nineteen85, who has worked with Drake and Jordan Manswell (Daniel Caesar), among others. An early treat for fans, atmospheric beats abound on the new track, with Mariah finding even more nuance in her seamlessly-spun vocal repertoire, her velvety, middle-range virtuosity once again dazzling in breathy hues. The sultry track is the first serving of new music from the acclaimed singer/songwriter/producer since inking an exclusive partnership with her imprint Butterfly MC Records and Epic in the spring of 2017. Mariah will share the music video for the new song tomorrow, September 14. The clip is directed by Sarah McColgan (Kelly Clarkson, Charli XCX). Her official single, "With You," seductively sets the stage for Mariah's eagerly anticipated album coming later in 2018. Mariah's enthusiasm extends to her recent live endeavors. The multitalented star finished up her Caesar's Palace residency on September 10 to rave reviews, and will be performing at the eighth annual iHeartRadio Music Festival at Las Vegas' T-Mobile Arena on September 21. A range of unique promotional ventures are in the works for fall, with more surprises in store for fans to close out the year. Mariah has also announced plans to continue ‘The Butterfly Returns' headlining show at the Colosseum in Caesar's Palace in February of 2019.